Both of these photographs were taken from the deck of R.M.S. Aquitania during October 1930. 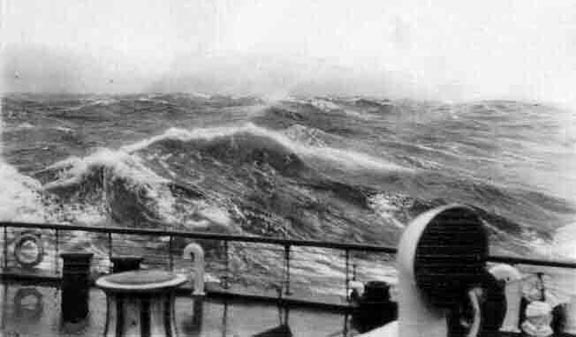 They are excellent examples of the kind of sea conditions also experienced by David on his crossing in 1949. 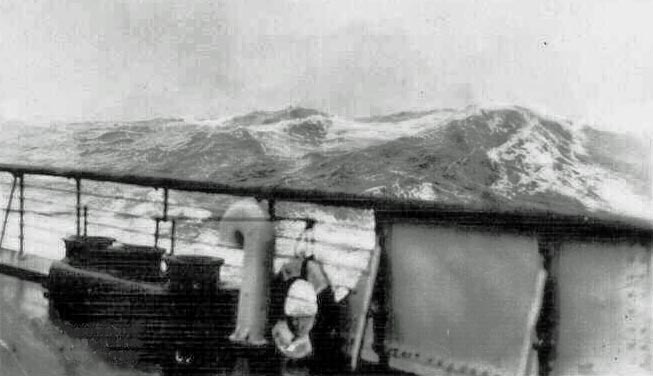 Source: Louis Mancini's Monsters of the Sea: The Great Ocean Liners of Time - 'RMS Aquitania in rough seas October 1930 (2 of a series of 4' pics courtesy of Greg Billups).